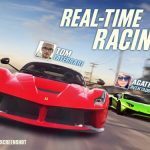 We’ve already talked about CSR Racing 2 and shared with you a list of tips and tricks for this exciting game. Now, as we continue working on a guide for intermediate to advanced players, we thought we’d whet your appetite a bit and keep you busy with another relevant guide – one that teaches you how to score more gold and keys, which are the game’s premium currencies. But before that, we should remind you that this game comes to us from NaturalMotion, and it’s now available on Android and iOS – a graphically-intense drag racing game featuring real-life supercars, thrilling racing against AI opponents and human-controlled opponents alike, and a wealth of new features and game modes that weren’t available in its predecessors CSR Racing and CSR Classics. So with that said, this exclusive CSR Racing 2 guide will be all you need if you want to earn more gold and keys, though we will also start out by explaining what’s in it for you with these two forms of currency. 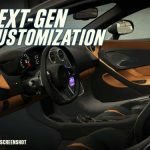 There are many ways in which you can use your gold, which is the game’s main premium currency, but one thing you shouldn’t spend it on is on car upgrades. When given a choice between spending cash or spending gold to upgrade your car, you want to go with the common currency, and wait it out until the upgrade is finished, if need be. You also wouldn’t want to use your gold on refilling your gas – ten pips of fuel will cost you 20 gold coins, regardless of how empty or how full your gas tank is, and you wouldn’t want that either, given the game will prompt you to watch ad videos to refill your gas. Just because the game is more generous with premium currency than its predecessors doesn’t give you the green light to spend it frivolously. 2. What Are Keys And How Do They Work? Keys are another premium currency in the game, and they tend to be rarer than gold, but the stuff you can get with keys can be very much on the premium side, if you know what we’re talking about. We’re referring to rare parts that could really soup up your vehicles, provided they match with the make – typically, you can get a chance at these parts in the Rare Imports section. You can also use keys to unlock high-end, Tier 5 cars which can only be accessed if you have a certain number of keys on you. In addition, there are three different levels of keys which you can earn in the game – bronze, silver, and gold keys. It’s the gold keys that could allow you to unlock the fastest and rarest of cars in this game, so you’ll want to prioritize these when playing the game and trying to win more keys. Now, that we’re done with that quick public service announcement about gold and keys, if you can call it that, let’s go to ways in which you can earn that sweet premium currency. Unlike in the old CSR games, CSR 2 will reward you with five pieces of gold per level-up. That’s more than twice the two gold pieces you’d get in the old games, and as the premium currency, you can use that gold to buy certain cars, as some of the cars in this game can only be purchased with gold. Some of the Tier 5 cars can cost you thousands of gold coins – take the Ferrari 488 Spider, for example, which costs a whopping 3,500 gold! You can use your gold for a variety of things, but the main thing you should be saving it up for is for new cars. Goals, which are this game’s equivalent of missions or quests, are objectives that can be earned while playing the game as you normally do, but as we said in our beginner’s guide, you should try completing as many of them as possible in order for them to refresh; these aren’t timed goals, by the way, and they’ll remain live until you complete them. Usually, completing a goal will earn you cash, but sometimes you may be rewarded with gold – keep completing them to add to your stockpile of in-game currency! Again, cash is the usual reward in the game’s many types of races, but there are some race types where you would be more likely to win gold and/or keys than others. First, you’ve got the ladder races – once you’re close to completing the ladder in your tier, you can win gold as well as cash. The Custom Trial is also a good race type to check out – the more wins you rack up in the duration of the trial, the more gold or keys you can earn. 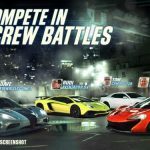 Daily Battles, where you can win prizes once a day, allow you to drive different cars, with lots of gold to win if you’ve been winning quite a few of these races. You’ve also got the crew championship, which can earn you a ton of gold, along with different types of keys. You can get gold keys for finishing in the top two, silver keys for finishing in the top 50, and bronze keys if you finish anywhere between tenth place and last place. And last, but not the least, beating the boss in a crew battle will also reward you with premium currency – you’ve just got to defeat him or her three times, but you’ll also have to be prepared and make sure your car is fully upgraded in order to beat the boss at their own game! If all else fails, or if you simply want to earn more gold, you can always go to the in-app store, and hit the button that says Free Gold – normally, you should see this in the middle of the gold menu. That’s going to direct you to an offer wall with a list of Tapjoy offers, which may range from simple stuff like downloading another game onto your device, to more complex mini-games that are much harder than they look, yet typically earn you more gold. It won’t be much, but if you’re willing to part with about $4 of your real-life money, the game does have a newbie offer where you can get $56,000 in cash and 500 in gold coins, as well as 350 keys. That represents an 83 percent discount off all the items’ regular price, so if you don’t mind a tiny purchase to be billed to your cellular account, credit card or PayPal, we’d say it’s worth it. 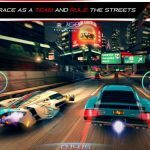 These would be our tips and tricks on how to earn more gold and keys in CSR Racing 2. We will share more CSR Racing tips, tricks and cheats in the near future, so don’t forget to check back from time to time!